After the creation of mankind in the beginning, it was the Israelites who served as the basis of work, and the whole of Israel was the base of Jehovah’s work on earth. The work of Jehovah was to directly lead and shepherd man through setting forth the laws so that man could live a normal life and worship Jehovah in a normal manner on earth. God in the Age of Law was One who could neither be seen nor touched by man. He was merely leading men first corrupted by Satan, and He was there to instruct and shepherd these men, so the words He spoke were only of statutes, ordinances, and common knowledge of living life as a man, and not at all of truths that supply the life of man. The Israelites under His leadership were not those deeply corrupted by Satan. His work of law was only the very first stage in the work of salvation, the very beginning of the work of salvation, and had practically nothing to do with the changes in the life disposition of man. When God began the official work of His management plan, He set down many regulations that were to be followed by man. These regulations were in order to allow man to lead the normal life of man on earth, a normal life of man that is inseparable from God and His guidance. God first told man how to make altars, how to set up the altars. After that, He told man how to make offerings, and established how man was to live—what he was to pay attention to in life, what he was to abide by, what he should and should not do. What God set out for man was all-embracing, and with these customs, regulations, and principles He standardized people’s behavior, guided their lives, guided their initiation to the laws of God, guided them to come before the altar of God, guided them in having a life among all the things God had made for man that was possessed of order, regularity, and moderation. God first used these simple regulations and principles to set limits for man, so that on earth man would have a normal life of worshiping God, would have the normal life of man; such is the specific content of the beginning of His six-thousand-year management plan. During the Age of Law, Jehovah laid down many commandments for Moses to pass on to the Israelites who followed him out of Egypt. Jehovah gave these commandments to the Israelites, which were unrelated to the Egyptians, and they were meant to restrain the Israelites, and were His requirements for them. Whether one observed the Sabbath, whether one respected one’s parents, whether one worshiped idols, and so forth, these were the principles by which one was judged sinful or righteous. Whether one was struck by Jehovah’s fire, or stoned to death, or received Jehovah’s blessing, was determined according to whether one obeyed these commandments. Those who did not observe the Sabbath were stoned to death. Those priests who did not observe the Sabbath were smitten by Jehovah’s fire. Those who did not respect their parents were also stoned to death. This was all commended by Jehovah. Jehovah established His commandments and laws so that as He led their lives, the people would listen to and obey His word and not rebel against Him. He used these laws to control the newborn human race, to lay the foundation for His work to come. And so, because of the work that Jehovah did, the first age was called the Age of Law. Though Jehovah spoke much and did much work, He only guided them positively, teaching these ignorant people how to be human, how to live, how to understand Jehovah’s way. For the most part the work He did was intended to allow the people to observe His way and follow His law. The work was done on people who were shallowly corrupted; it was not concerned with the transformation of disposition or the growth in life. He was only concerned with using laws to restrict and control the people. 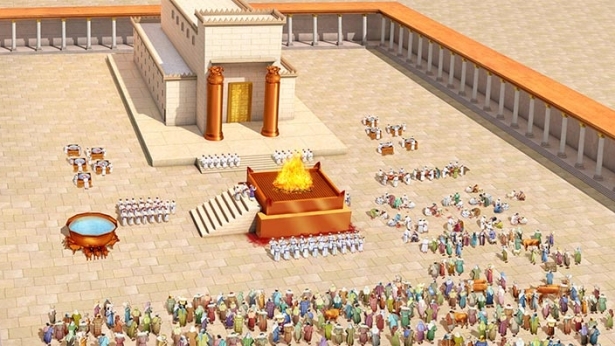 For the Israelites at that time, Jehovah was merely a God in the temple, a God in the heavens. He was a pillar of cloud, a pillar of flame. All Jehovah required them to do was obey what people today know as His laws and commandments—one could even say rules—because Jehovah’s work was not meant to change them, but to give them more things that man ought to have, to tell them from His own mouth, because after man was created, man knew nothing about what he ought to possess. And so Jehovah gave them the things they ought to possess for their lives on earth, made the people that He had led surpass their ancestors, Adam and Eve, because what Jehovah gave them surpassed what He had given Adam and Eve in the beginning. Regardless, the work Jehovah did in Israel was only to guide humanity and make humanity recognize their Creator. He did not conquer them or change them, merely guided them. This is the sum of Jehovah’s work in the Age of Law. It is the background, the true story, the essence of His work in the whole land of Israel, and the beginning of His six thousand years of work—to control mankind by Jehovah’s hand. Out of this came more work in His six-thousand-year management plan.